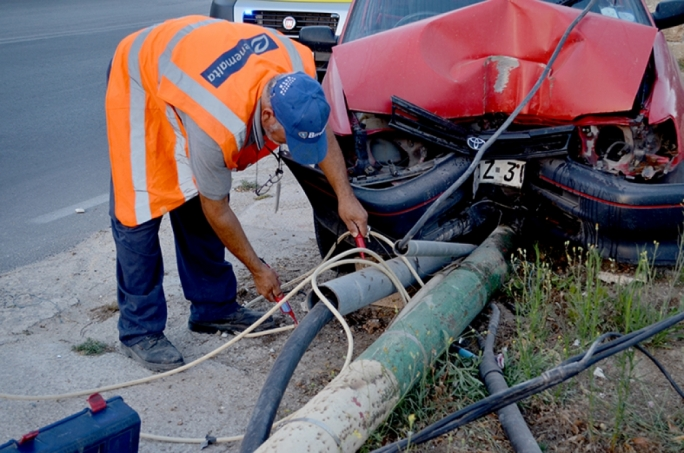 At least one person injured after a car crashed into an electricity pole. 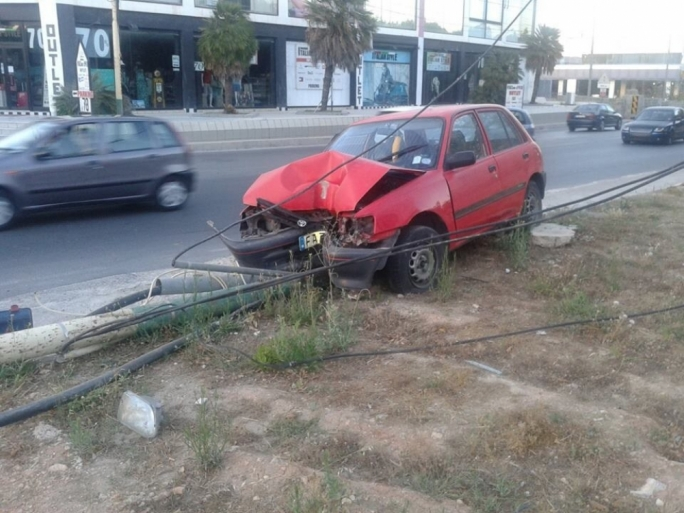 The driver of a Toyota Starlet was rushed to Mater Dei Hospital after crashing into an electricity pole in Mosta Road, Lija. The condition of the driver is not yet known. 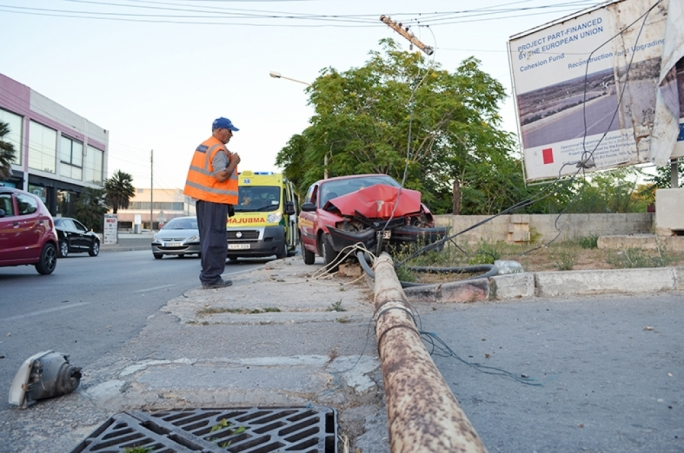 It was unclear whether other persons were involved in the accident. 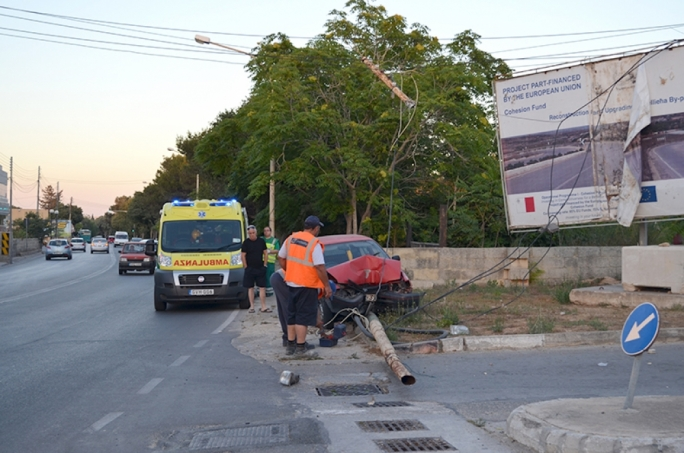 Enemalta technicians were on site disconnecting electricity as the car had crashed into the pole, detaching it from the ground. 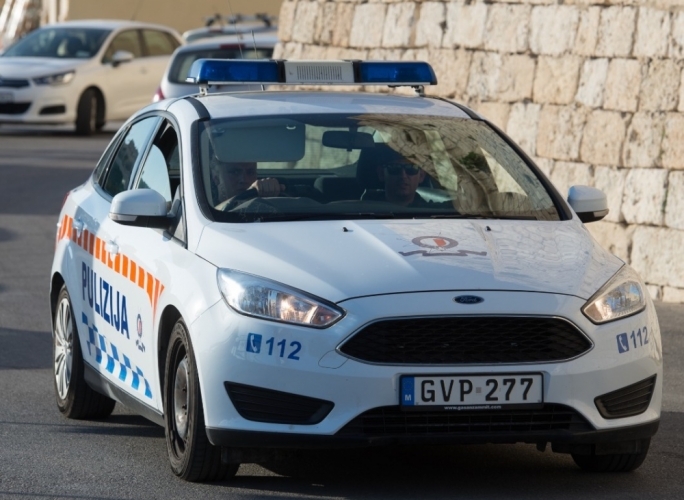 The accident happened just before 8.00pm when a 19-year-old from Naxxar was going towards Mosta to turn to Naxxar to go home after a day at work. 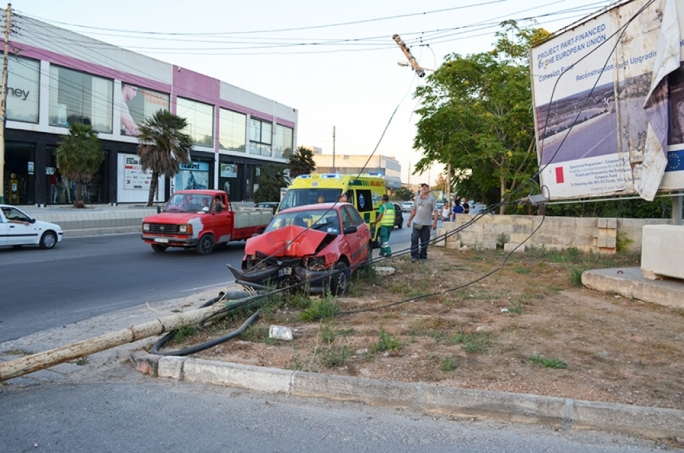 As he arrived near the Subaru Showroom, he lost control of the car and smashed head-on into the electricity pole. 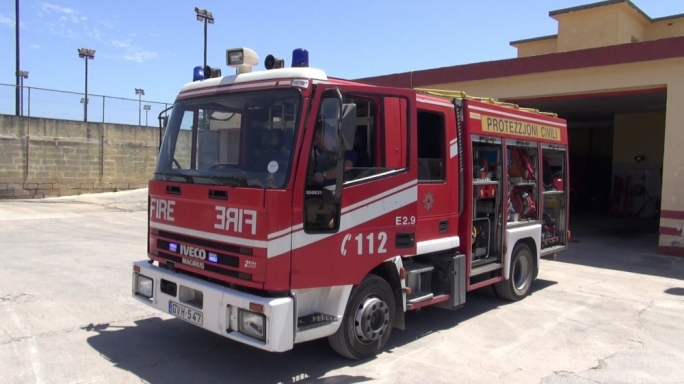 An ambulance took the Naxxar youth to Mater Dei Hospital where he is being treated for injuries he sustained. 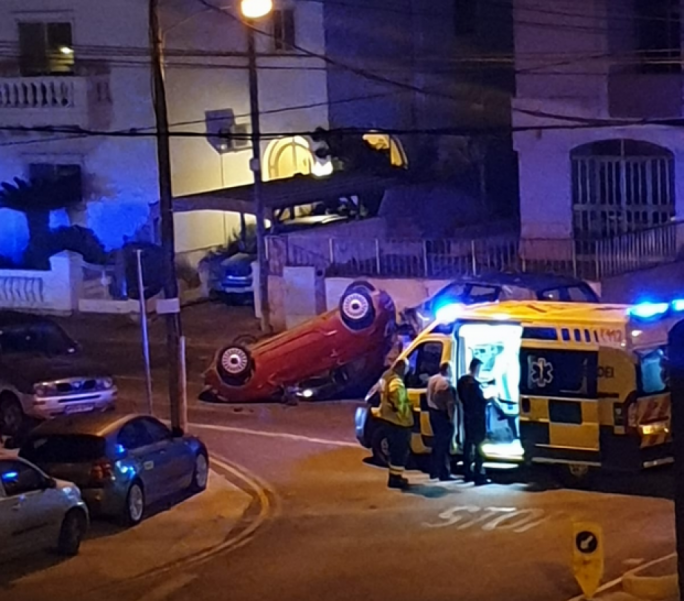 Police Sergeant Geoffrey Attard McCarthy together with PC Mario Ciantar from the Birkirkara Police Station are investigating this accident.